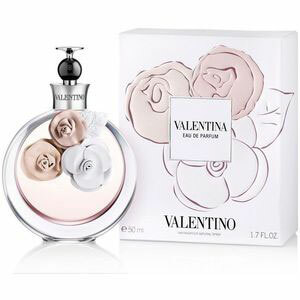 The fashion house of Valentino launches its new fragrance named Valentina in mid-September 2011. The fragrance, inspired by Rome and Italian flavors, is developed in collaboration with Puig and perfumers Alberto Morillas and Olivier Cresp. The composition is designed as a fresh floral - fruity - oriental, full of contradictions, simultaneously delicate and strong, elegant, sensual, rebellious and fun. It starts off with bergamot from Calabria and white truffles from Alba. Amalfi orange blossoms, sweet jasmine, tuberose and wild strawberries compose the perfumeÃ¢â‚¬â„¢s heart, settling on the base of cedar, vanilla and amber. The face of the advertising campaign is model Freja Beha Erichsen, shot by David Sims.